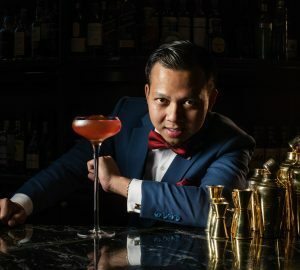 Chef Chris Salans from Bali’s award-winning Mozaic Restaurant Gastronomique brought his creation to Lyon restaurant at Mandarin Oriental, Jakarta on last 25th and 26th January 2019. He presented such an exquisite lunch and dinner to the guest of the restaurant. We had a chance to experience his amazing creations and it was beyond our expectation. Chef Chris is known for his marvelous skill and knowledge when it comes to creating a fine dining experience. 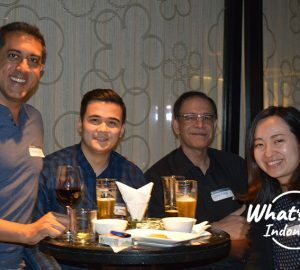 He perfectly marries the techniques of French modern cooking and presentation with the native ingredients and great flavors of Indonesia. It then resulted in the fresh oasis of ingenuity in the world of gastronomy. That’s why we were so excited to experience his specially crafted lunch consists of 5 courses. 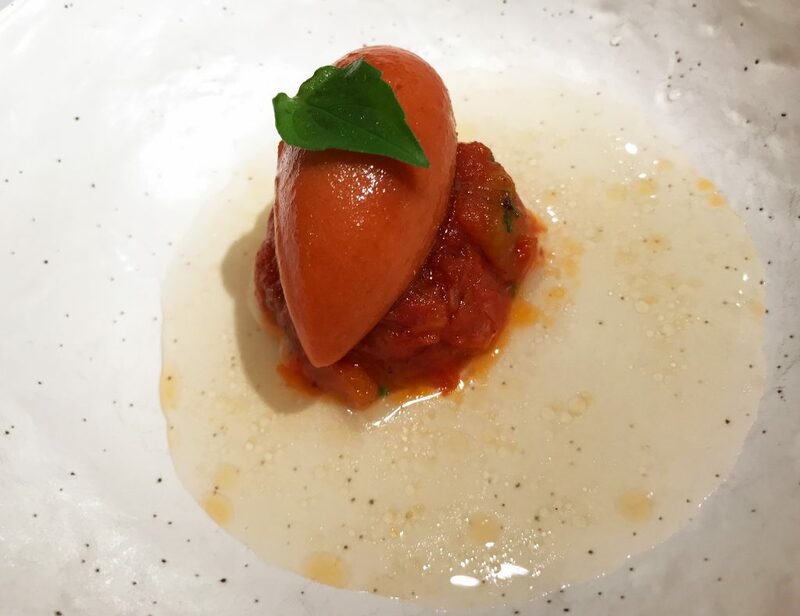 It was started with the cold and fresh Amuse-Bouche which was a tomato sorbet and poured with lemongrass broth. It gave such a refreshing taste with a hint of acidity. 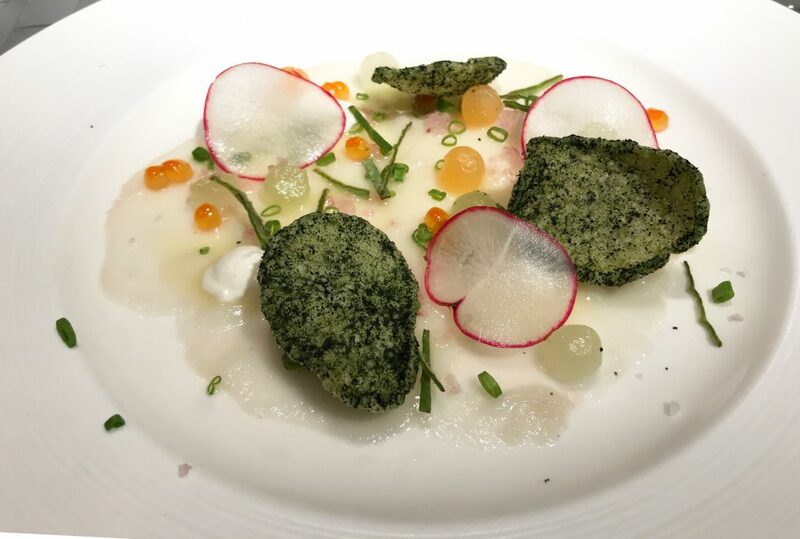 It then followed by Smoked to Order Gindara Carpaccio, a carpaccio made of raw gindara fillets, dressed with Indonesia’s Limau lime juice, and smoked using rice straw. 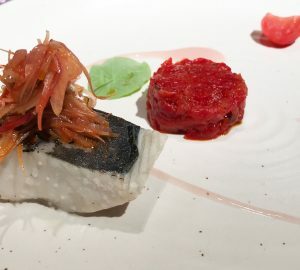 The fish was so delicate which complemented by the savory crackers served along with this course. Moving on to the main courses, Chef Chris served us Fresh Market Seafood, King Mackerel Confit in Coconut Oil, and Braised Beef Short Rib. 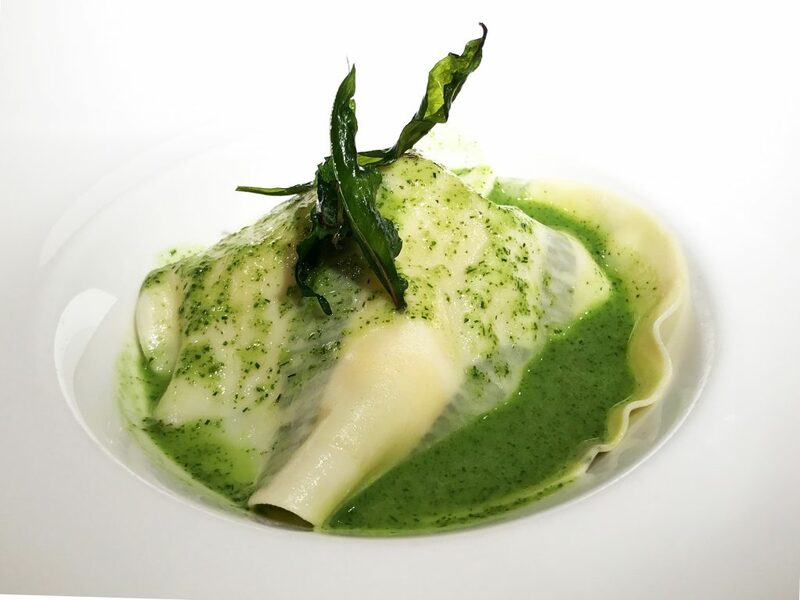 Fresh Market Seafood is a ravioli-like pasta consist of fresh seafood, such as fillet fish, prawn, and squid served with garden herbs in oceanic broth. The herbs he was using originally from Indonesia. One of the herbs was coriander which was sprinkled to give such a unique taste. 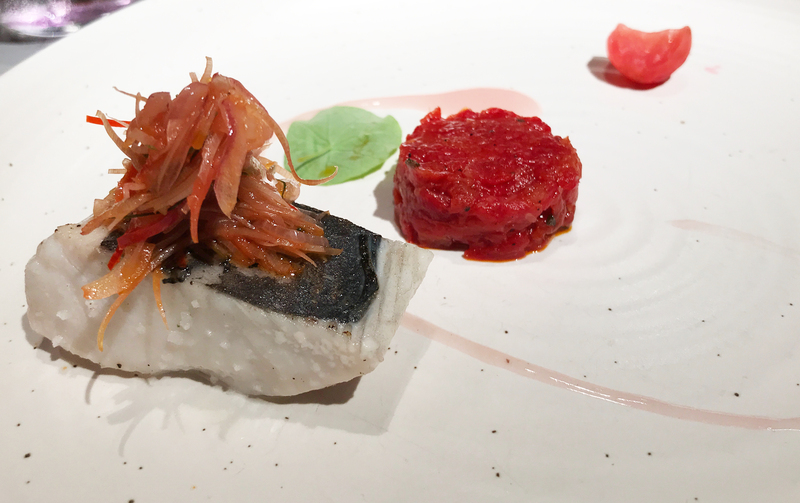 King Mackerel Confit in Coconut Oil also deserves a thumbs-up. It was a mackerel fish cooked with confit technique and coconut oil, served with Kecombrang flower gel, Kecombrang sambal, and dehydrated watermelon. Kecombrang was its highlighted native ingredients which brought a pleasant aroma into the dish. 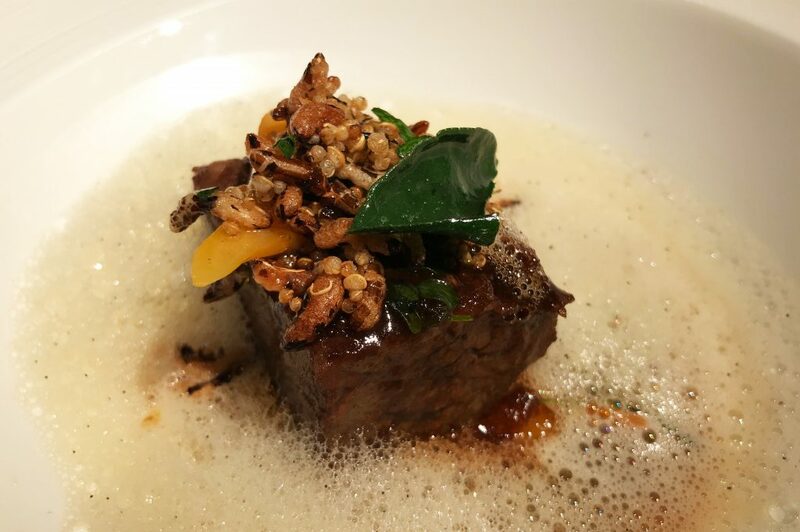 Then the star of the day for us was Braised Beef Short Rib, served with baby carrots in kaffir lime leaf, crispy grains, and vanilla emulsion. The beef was marinated perfectly and complemented by the aromatic vanilla emulsion. It was also so tender and melted as the beef was cooked for 48 hours. 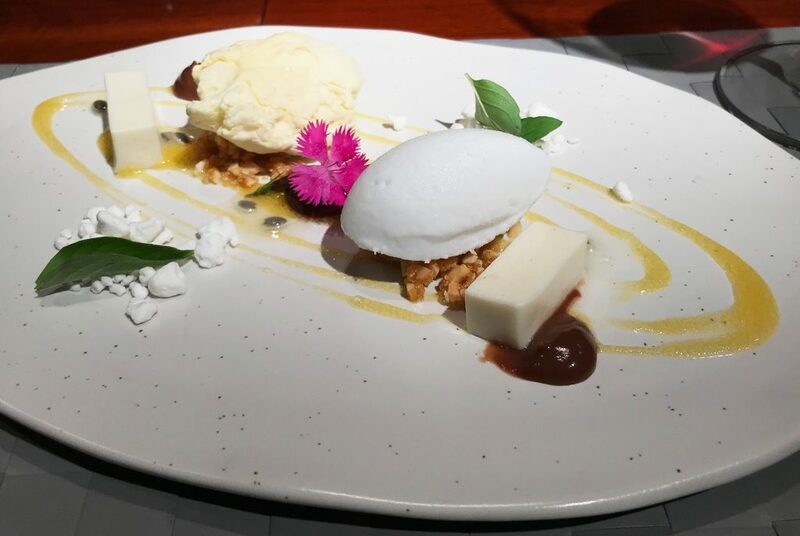 Our sumptuous lunch was closed with Texture of Valrhona White Chocolate, consists of coconut sorbet, passion fruit gelato, and served with milk jelly, milk chocolate, and white chocolate. A blend of sweet, sour, and savory flavors definitely completed our lunch.